Staying in Salt Lake City (or Valley) is an excellent option to explore Alta, Snowbird, Solitude and Brighton. 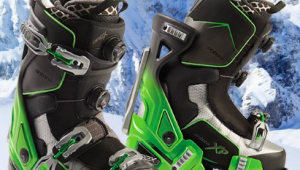 Ski City USA offers good value (many hotels include a Super Pass with the room), public transportation to the resorts, and a broad range of restaurants and entertainment venues. Here are some favorites. Check websites for hours and addresses. For a quickie on the way to the mountain, Tulie Bakery or Eva’s Bakery, downtown serve excellent baked goods. Sweet Lake Biscuits and Limeade is more leisurely. Egg dishes with house made biscuits and gravy are worth the visit. Spitz serves fresh and substantial salads and first-rate doner kebab. 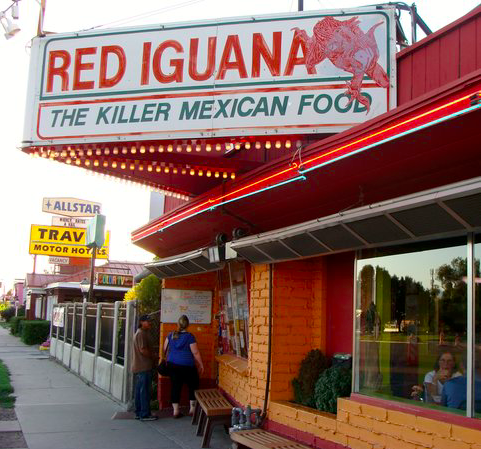 Most repeat SLC visitors head for Red Iguana, the venerable and superb Mexican not far from downtown. The downside is no reservations for small parties and long waits. Go around 8:00PM to avoid crowds. On weekends Dim Sum House serves dim sum that stands up to similar places in San Francisco and New York. It’s large, loud and delicious. For Vietanmese pho and banh mi sandwiches try one of the Oh Mai locations. One of the better Thai places is Skewered Thai. Scattered around the valley are numerous local counter-service fast food hamburger places with names like Hires and Astro Burger. A favorite is Crown Burgers. No one leaves The Copper Onion unhappy, unless they had an overly long wait. Avoid the line with a reservation. The American cuisine is consistently excellent. A block away is Taqueria 27 serving gourmet Latin street food and tequilas. Several Japanese restaurants are available. My favorite is Kyoto. It has a friendly and fresh sushi bar. For wonderful Indian or Nepalese food in an attractive location visit Himalayan Kitchen. Among the pizza places, Settebello is within walking distance of most downtown locations. The Pie near the University of Utah requires a car. It is underground and abuzz with students. If you’re in the mood for a beer and burger, Lucky 13 is one of several options. It’s a dive bar where you’ll get a glimpse of a colorful segment of locals. 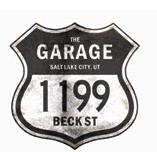 The Garage is a set on the edge of the gasworks on the north edge of town. Interesting bar food and live music. There’s a lot of it in SLC, a stop for most touring groups. When checking listings for downtown venues, don’t overlook free Thursday evening concerts at Gallivan Center. The Excellence in the Community series showcases local talent. I’ve never been disappointed. 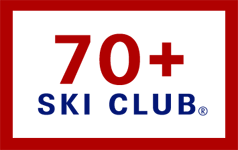 I have organized a group of skiers that have gone to SLC for over 20 years. We stay at a motel in Midvale which gives us access to all 8( (9 , if you count Sundance(near Provo and 10 if you count Powder Mountain near Ogden) – Alta, Brighton, Snowbird, Solitude, Deer Valley, Park City, Canyons, and Snowbasin ( Ogden, an hour drive from SLC). Of course you have to have a car or, in our case, a van. You may also take a bus up Big and Little Canyons.. Staying in Midvale is less expensive and provides easy access to SLC restaurants.